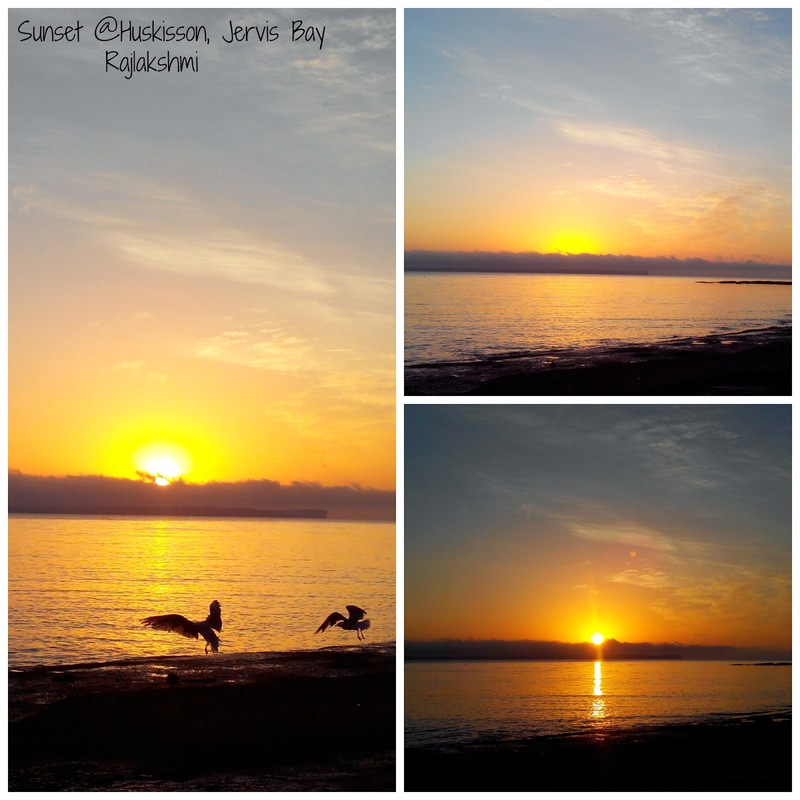 I spent two beautiful days on the shores of Huskisson (NSW, Australia), also called the heart of Jervis Bay. I wasn't sure if it was the right place to capture sunrise, but after finding a comfortable Bed and Breakfast place near the beach, I decided to stay back. Google indicated the sunrise time to be around 5:30 am, but it was quite bright when I woke up at 5. My first thought was that I missed the sunrise. After walking around the beach, following the orangish clouds, I found the perfect spot. 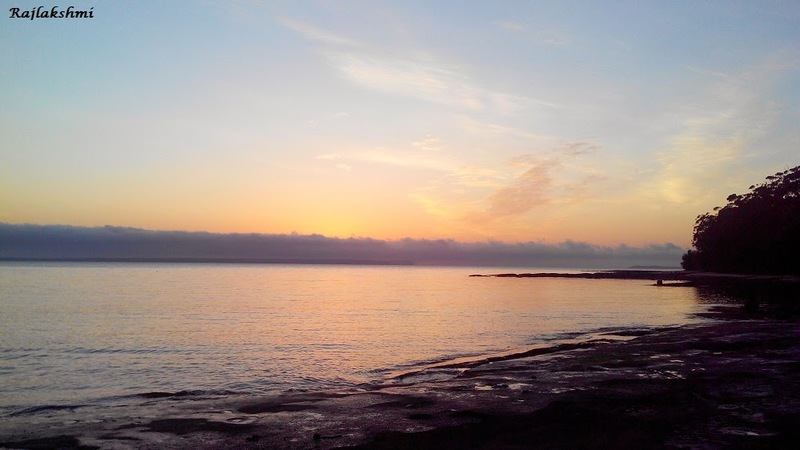 A cool morning breeze swept across my face as I sat on the rocky coastline, waiting for the sun to rise. Everything looked so picture perfect - like a painting - poetic, peaceful and refreshing. And when the sun slowly rose, let me tell you, it was magnificent. The skyline dramatically started changing it's color, within minutes there was splash of orange and yellow hues across the Eastern sky. How beautiful nature is!! You forget about the world, the scary deadlines and the race against time to reach that golden goal. Sitting on that beach, in 15 minutes, time slowed down, as I savoured the finer nuances of life. beautiful. love the ones before the sun is peeking up. Wow, wonderful sunrise. Worth waiting for. The silhouetted birds looks fantastic. wow! That's beautiful and so peaceful!! Extraordinary....I could spend my life at such a beautiful place. Great photos. Watching the sunrise is a simple pleasure. Gorgeous captures.. Have a happy weekend! 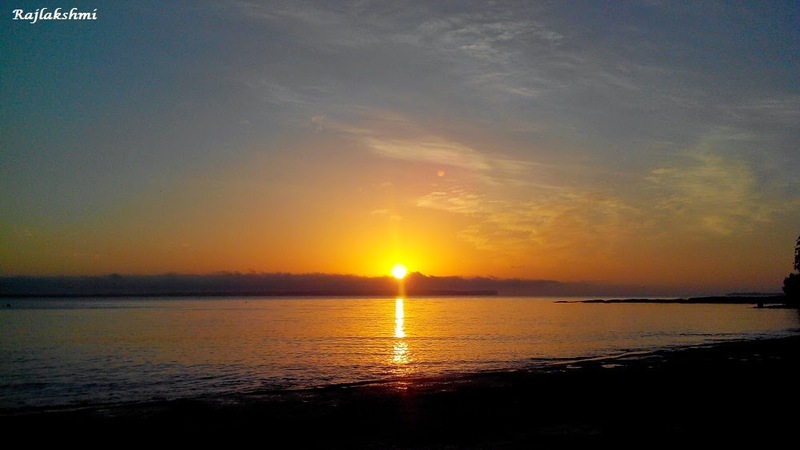 Your sunrise images are delightful! The one with a boat in it reminds me of painting. 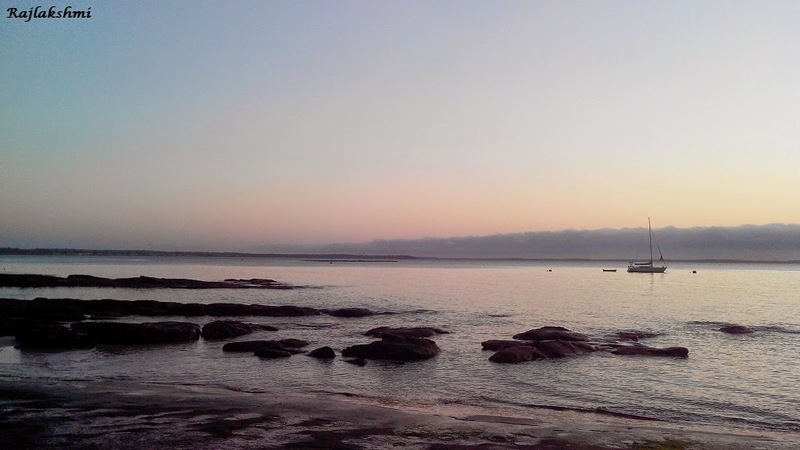 Jervis Bay is so beautiful...in fact, I'm very partial to the South Coast and love almost every area. A superb series of captures! Thank you for dropping by my blog. Gorgeous - there's nothing like sunrise (or sunset) on a beach.